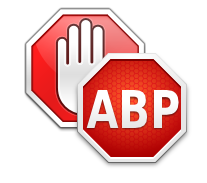 Adblock vs Adblock plus – Which one is better? Adblocking software has gained much popularity the last few years, causing many issues with publishers and website owners due to the drop in revenue from ads. Since Adblock Plus launched many similar web browser extensions have been released among them Adblock, uBlock, Simply and many more. AdBlock gained its popularity for being the first extension to block ads on Chrome (as AdBlock Plus was developed initially for firefox only). While using similar filters to AdBlock Plus (meaning they are both as good at blocking ads) there have been many complaints about its recent choice to no longer being an open source project and hiding changes from the user. We already mentioned that boths extensions are equally good at finding and blocking ads but that is not the case when it comes to Privacy and tracking user’s data. Adblock has a history of lying to its users, while they try to appear like an extension that cares about the users privacy, recent changes to the app (which it hasn’t publicly announced) prove otherwise as they have recently started monetizing their users by partnering with Disconnect.me. As far as privacy goes, Adblock is very sketchy about it and there is no explanation to where all of the data it collects from it users goes.